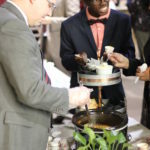 The Class of 2020 soup cook-off fundraiser was very much enjoyed by both church and school. 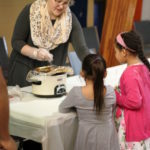 After tasting the many different flavors of chilis, broths, and stews, the students and church were able to come to a final Vote on who had the best dish. 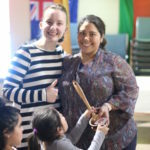 Cooking a delicious white chicken chili, Sister Deanna Larios left the cook-off with the first place prize of the Golden Ladle. Thank you, second year class, for putting on a wonderful event for both the church and student body.